The hills and troughs in this little valley, carved between a ridge and cliffs higher up Mount Sharp, almost look like undulating waves. 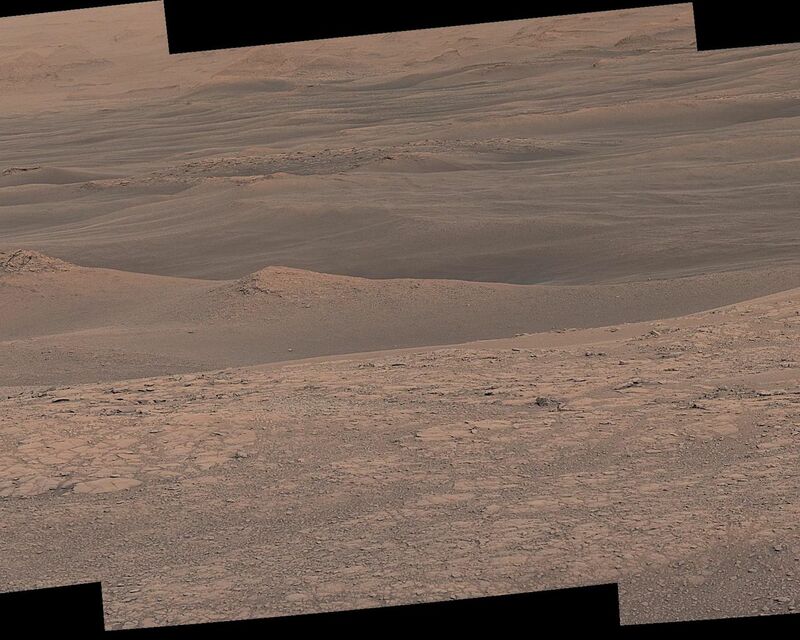 The Mast Camera (Mastcam) on NASA's Curiosity Mars rover captured this mosaic as it explored the "clay-bearing unit" on Jan. 23, 2019 (Sol 2299). 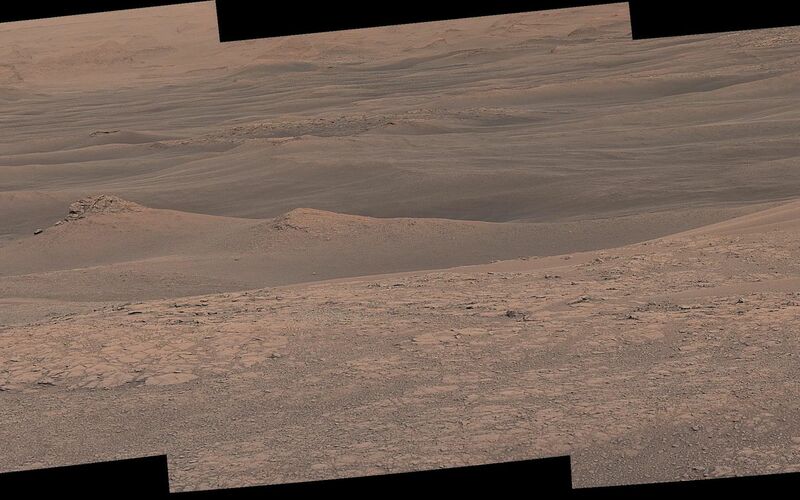 At the top left corner is part of the Vera Rubin Ridge, from which Curiosity departed earlier this year; the rocky hill at center left has been nicknamed "Knockfarril Hill." The science team is trying to figure out how this landscape formed over billions of years. 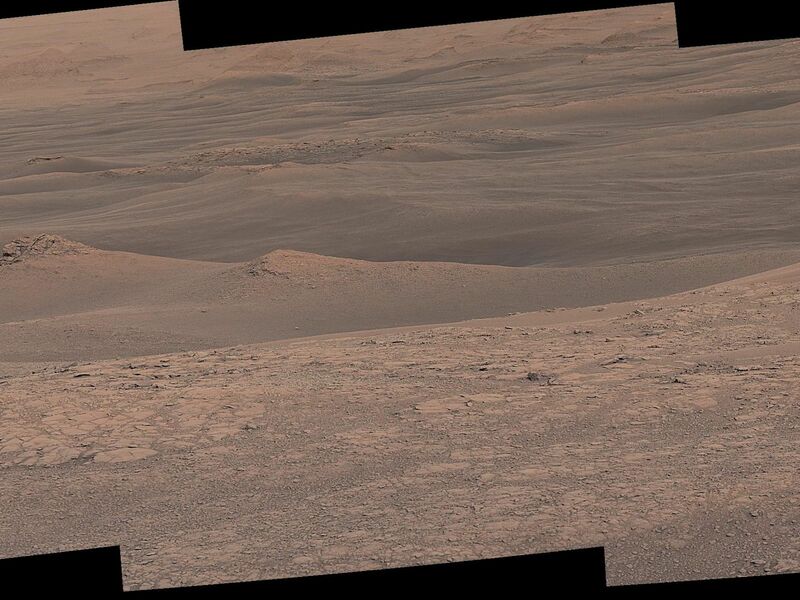 At present, the clearest takeaway is that the clay-bearing unit is softer than the ridge: The former has eroded into a valley between the ridge and Mount Sharp, while the ridge has resisted erosion. The scene is presented with a color adjustment that approximates white balancing to resemble how the rocks and sand would appear under daytime lighting conditions on Earth. Malin Space Science Systems in San Diego built and operates Mastcam. A division of Caltech, the Jet Propulsion Laboratory in Pasadena, California, manages the Mars Science Laboratory Project for NASA's Science Mission Directorate in Washington and built the project's Curiosity rover. For more information about Curiosity, visit http://mars.jpl.nasa.gov/msl or https://www.nasa.gov/mission_pages/msl/index.html.